Our greatest treasure is not natural possessions or money, but is that which is hidden deep within our own subconscious. It is that dark, unused part of our self that is, in fact, light that is unconscious of itself. DNA, or deoxyribonucleic acid, is the hereditary material in humans and almost all other organisms. Nearly every cell in a person’s body has the same DNA. According to science, at least 97% of our DNA, is considered to be “junk” DNA; the 3% left is regarded to be the quota where resides the “valid” codes of information in our bodily system. The Astronomer Carl Sagan once said that our 97% of unusable DNA is just “genetic gibberish”. The 97% is no junk, nor is it unusable. This unexplored space in our DNA Codex contains an incredible amount of information very usable at the Soul Level; but in Humanity, this potential is still dormant in our prospective development and evolution. The unused part of the DNA is considered to contain information about our past lives, Akashic records stored in holographic formats; which science does not know how to translate and decode yet. In our current DNA structure, we have two visible strands, which are called backbone DNA, but all the other 10 other strands are present. Some scientists affirm they can see them, but they are formally called “the shadow DNA”. 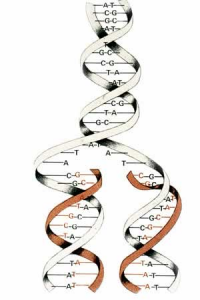 Pair 1, Backbone DNA: this pair is responsible for the physical aspects of the human body. They direct genetic patterning. Backbone DNA denotes the predispositions of individual to certain conditions such as aging, health, metabolism and general life structure. These also are responsible for the external characteristics one has, such as color of the hair, skin, etc. Pair 2, Etheric DNA: Here we find the reservoir of the emotional aspects, and in this we have a registry on how the individual can act and react to emotional patterns. This part responds intuitively to the personality, which we called Ego. The activation of these strands facilitate the operation of the individual mind though a much broader perspective. Pair 3, Psychic DNA: These strands are responsible for the genetic mental profile, in other words, they define how the mental energy will be used in direct thought: linear, logic, intuitive, artistic or emotional thinking. These are a very important part of the mind. Their activation can enable an individual to perceive other realities and to think in abstractive terms. We also find here the coding that gives the information on whether a person tends to be pessimist or an optimist. Pair 4, Anima DNA: Anima is the ancient Latin name for the Soul. In this pair registry, we find the Karma (lessons) and the Dharma (purpose or life mission).We can experience here the predisposition patterns carried by the Soul through its journeys, the Karmic wounds, the Samkaras, the unfinished energies and open projects of the soul. 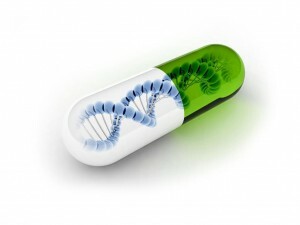 If activated properly, the Anima DNA can terminate upending energies, or karmic junk, at any time. Pair 5, Astral DNA: This is the basin where all the electromagnetic influences of our Solar system are integrated with the gravitational force determined by the place one was born . These records can be easily read on a personalized astral chart, or astral maps. Pair 6, Cosmic or Systemic DNA: In this section of our DNA, we store all the potential to create and to re-create ourselves. This is the most spiritual part of our being ingrained into our genetic code. This is the master point of the connection between the individual and the entire cosmic Universe. With this pair fully activated, one is able to manifest situations in their lives more independently. It is from these major connections that our ability to manifest “miracles” comes from. Tradition declares that human beings had all these possibilities fully activated at one point in time: they are part of our original Divine blueprint. As this faded from the general population, Activation was used as a rite of passage in the ancient mystery school traditions to activate high priests and priestesses, prophets, and oracles. Today, many of these connections now have to be “worked” on in order to be reactivated; through sound healings (the use of certain Solfeggio  frequencies), decrees, meditations and practical exercises, and of course lifestyle and life-long spiritual practices. Activating your dormant DNA, which in time will also give you access to the secrets and mysteries of which you are and what your life-purpose is, will allow you to realize your full potential here on Earth.